As y’all know, yellow is definitely THE color of the season for me! Something about this sunny shade is just so, well “summer” and makes me cheerful and happy each time I put it on. 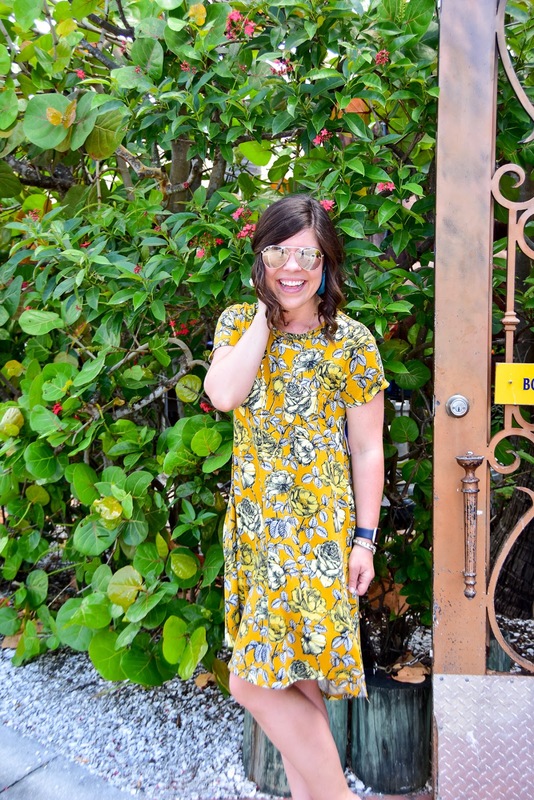 I’m also a huge fan of easy, swingy dresses that are lightweight (I mean in this summer heat I will take any refreshing feel that I can get)! The funny thing about this dress is I kind of refused it at first. 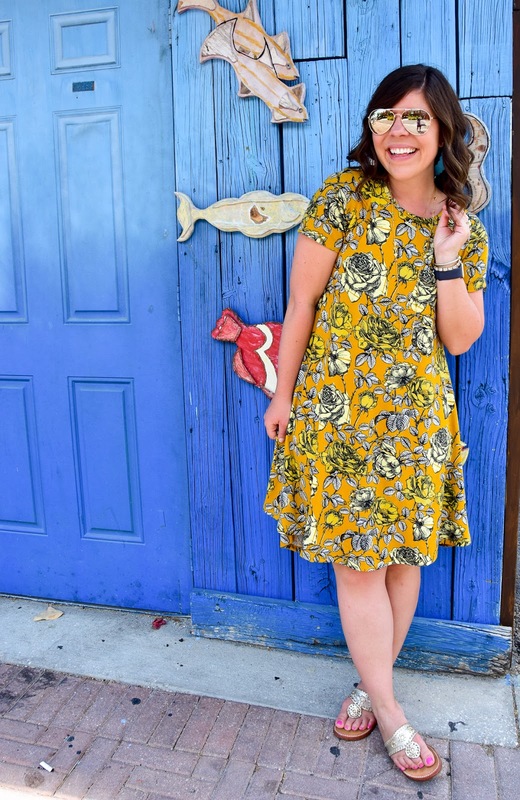 My aunt and I were finishing up blog pictures recently when she asked me to style a few pieces for her LulaRoe business. Well it had been a HOT one out there when we were shooting and the minute I put this dress on, I refused to take it off- it was that comfy! Seriously, it was like a breath of fresh air putting it on 🙂 At first, I thought the color wasn’t right for me, but once it was on it just made me happy, happy. Word to the wise on sizing though: make sure to size down- this dress runs 1-2 sizes big (I’m wearing an XS). Oh my goodness, that yellow dress!! 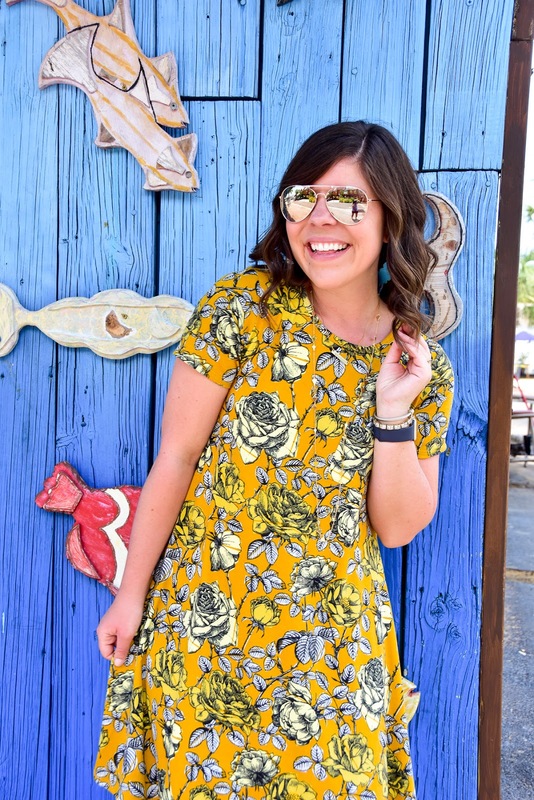 Looks so cute on you + that pattern is perfect! I don't blame you for having a crush on this color! You look amazing in it! How lovely and bright is that yellow?? I LOVE it!!! You look so beautiful in this dress! Love thew bright yellow! 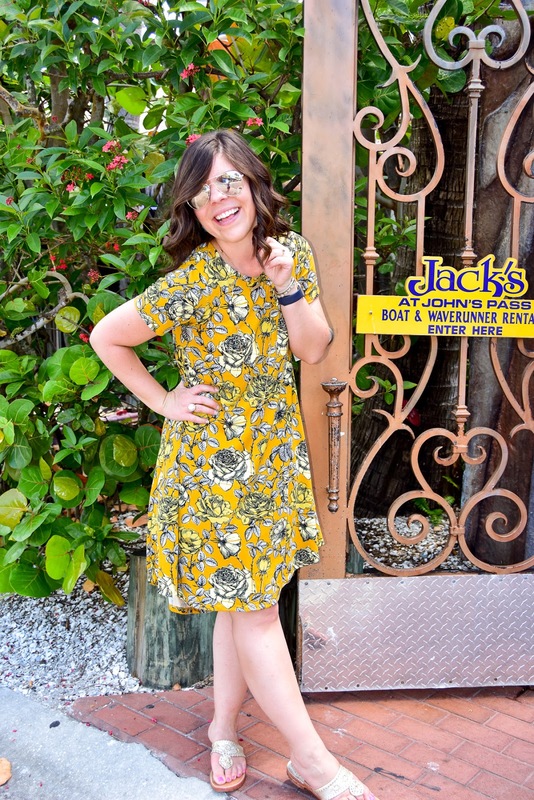 I love yellow – always perfect to brighten up a summer day! Aww, so cute! I've been hesitant to try Lularoe. I'm not really one to jump on bandwagons quickly. Some of the patterns are crazy! But I do love a great cotton dress! It's so easy to throw one on in the summers. Goodness knows this Florida girl refuses to wear pants after May 1st. I will be honest, it's not a brand in which I love everything (or every print), but if you pick and choose your pieces carefully there are some real winners! 🙂 Plus- the material is so comfy! I always hesitate on certain colors to try on, but I've found to just try them on and I've been missing out! Haha! You look gorgeous in yellow! This dress is my favorite of yours to date. 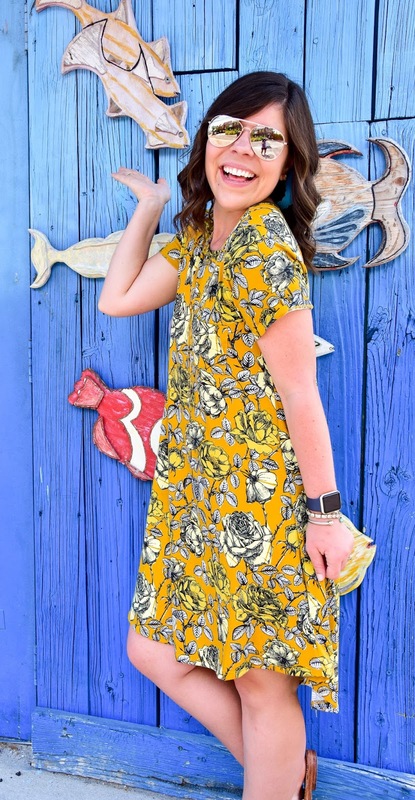 Love the yellow and print! I can't get enough of that print. You look so glowing and happy with this dress on! 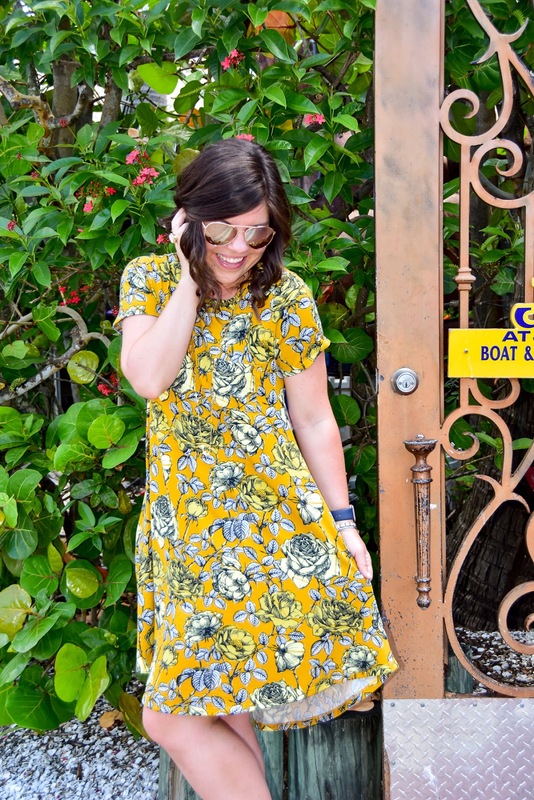 This mustard floral Carly dress is beautiful on you Gentry. Your poses are so cute!